Every time we’ve seen one of the uniquely designed Seabourn cruise ships, they remind us of a sleek sailing ship, we’ve wondered how life on board these luxury ships would be. 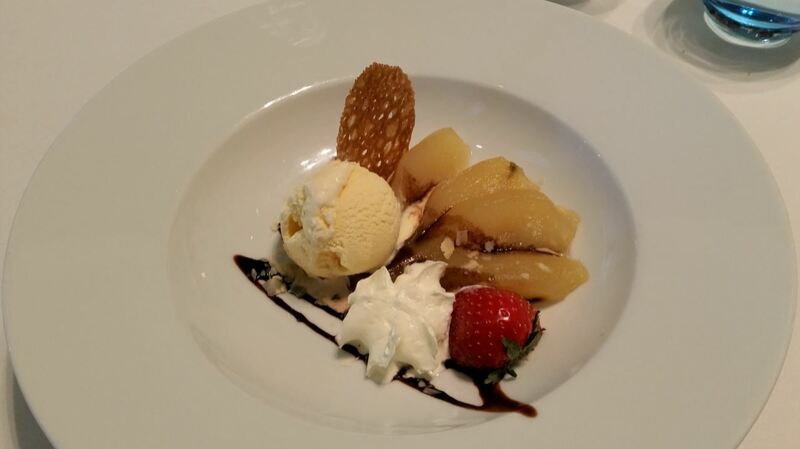 A few days ago, during our visit to Seabourn Quest, we finally had the chance to get a quick taste of the extraordinary world of Seabourn. 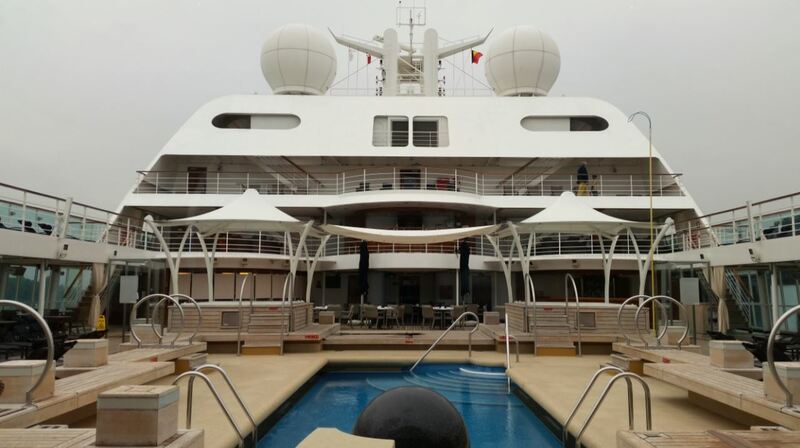 It was a grey morning when Jim Cannon, the Cruise Director on board Seabourn Quest welcomed us with a big and warm smile. As we made our way to the Observation Bar on deck 10, ready to start our exploration, Jim told us a bit more about Seabourn. 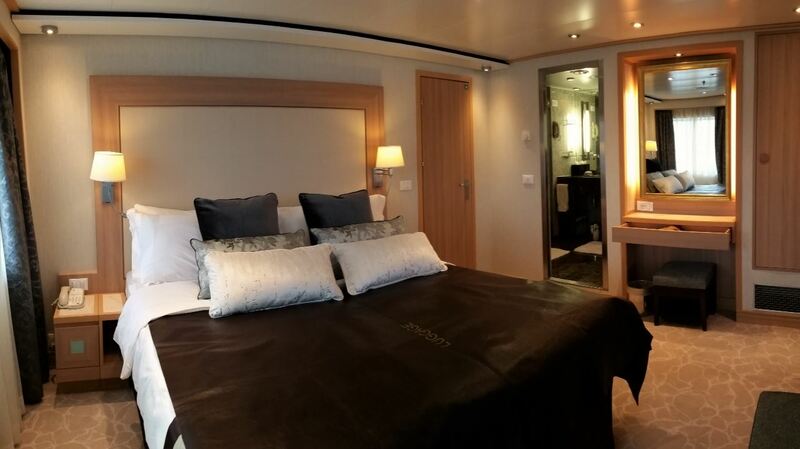 Considered a pioneer in small-ship, ultra luxury cruising, Seabourn offers travellers a fleet of 4 intimate, all-suite luxury ships, carrying between 450 and 600 guests each. On board, guests are served by a crew numbering nearly as many as the guests. They are hand-picked and trained to deliver Seabourn’s signature style of thoughtful, personalized and heartfelt hospitality. 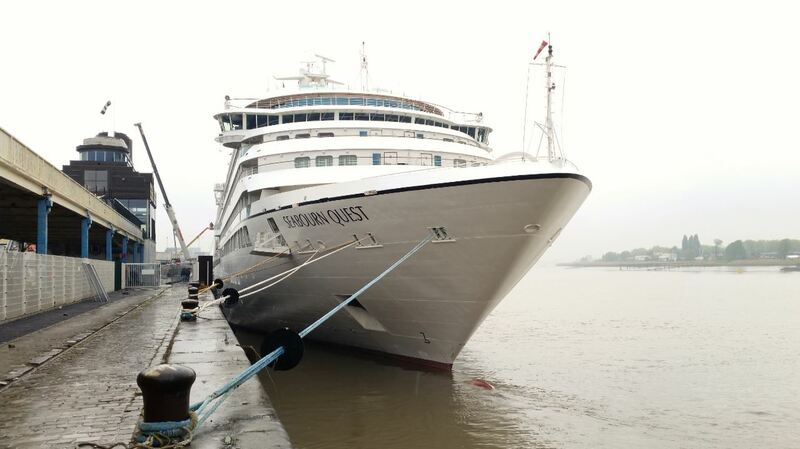 In 2009, Seabourn introduced Seabourn Odyssey. Hailed as “a game-changer for the ultra-luxury segment” the ship carries just 450 guests and offers a wealth of amenities made possible by the highest ratio of space per guest in the cruise industry, including the largest spa on any luxury ship and generous private verandas on 90 percent of her suites. 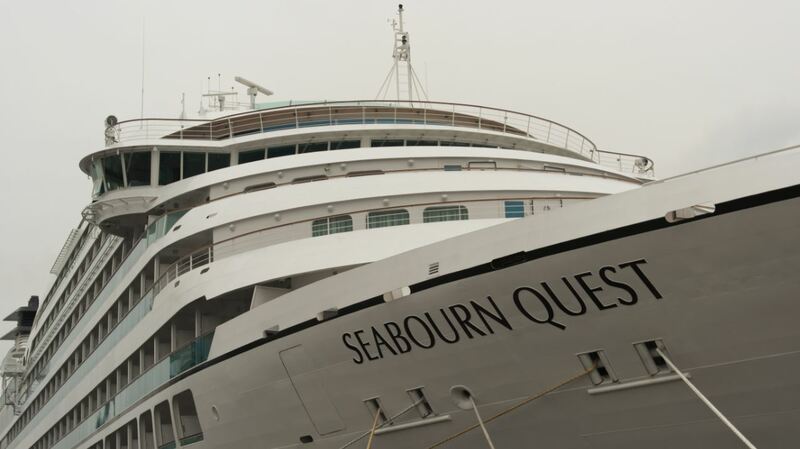 Seabourn Odyssey has since been joined by two identical sisters, Seabourn Sojourn in 2010 and Seabourn Quest in 2011. In December 2016 seabourn launched Seabourn Encore, carrying 600 passengers, the largest ship in its fleet. Sistership Seabourn Ovation will join the fleet in 2018. 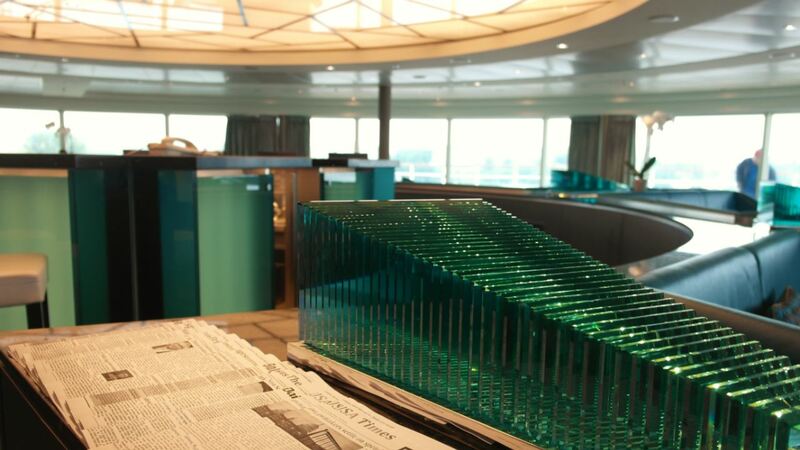 Having dreamt of one day, cocktail in hand, gazing through the panoramic windows of the Observation Lounge at the ever distant horizon, it was time to face the grey outside world and start our exploration of Seabourn Quest. 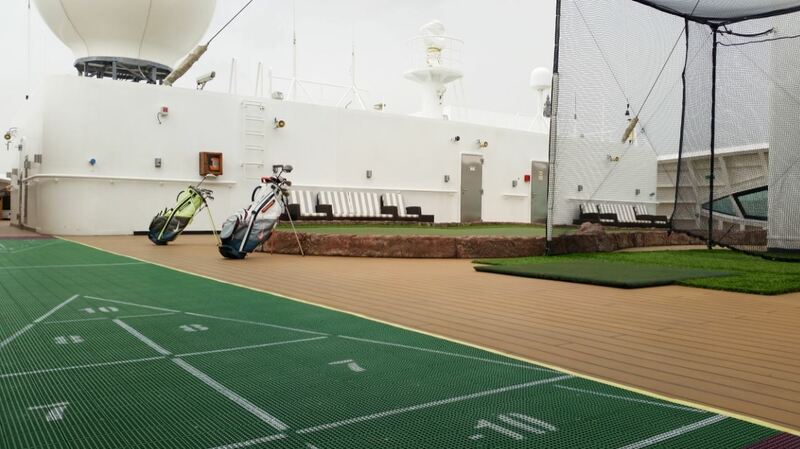 We headed up to deck 11 where guests travelling (to sunnier destinations) can relax while working on their tan on the Sun Deck or work on their golf swing in The Retreat. Unfortunately as the sun didn’t want to play, we were forced to continue our visit. 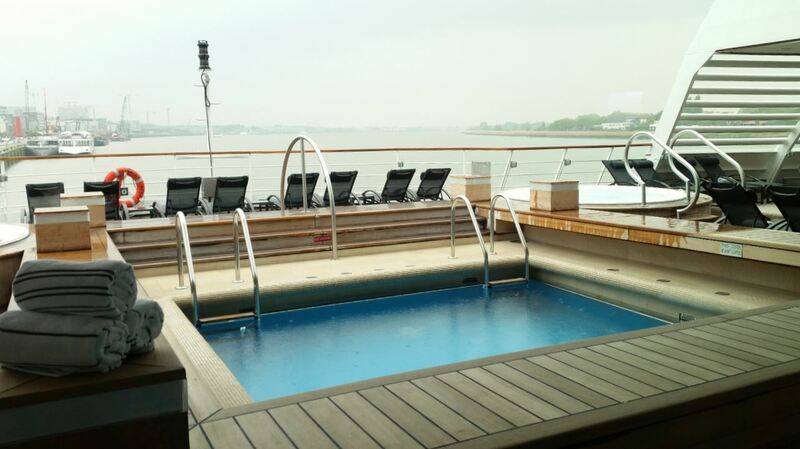 We walked back towards the back of the ship via deck 9 passing by the Sky Bar overlooking the Pool Deck. As we stepped back inside we found ourselves underneath the huge skylight, from which natural light flows down to the entrance of the main dining room on deck 4. 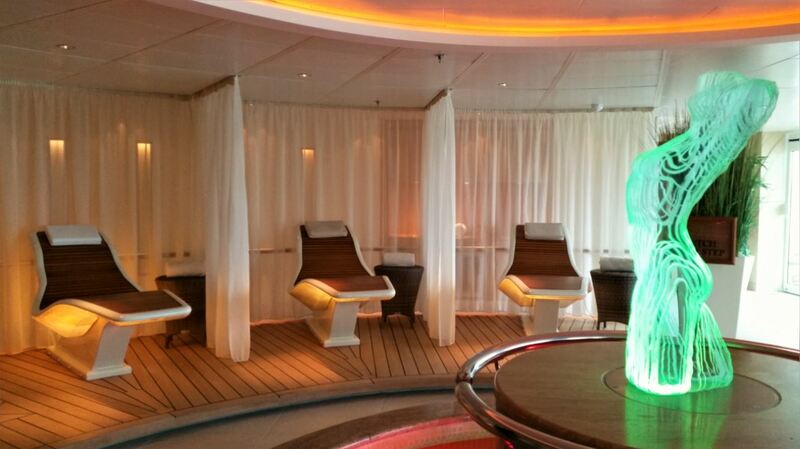 Located on deck 9 aft is The Spa at Seabourn. With six treatment rooms, a thermal area featuring a large hydro-pool, dry float beds, sauna and steam rooms, a full-service salon, a small but well-equipped gym and a motion studio featuring a Kinesis Wall and Thai massage area The Spa at Seabourn is the largest spa facility on any luxury cruise ship. We made our way down the spiral staircase to deck 8, where the open deck surrounding the swimming pool and a pair of large whirlpool spas, features sun loungers and cabanas which are organised to offer a mix of sun and shade. Deck 8 is also home to The Patio Grill which offers casual poolside dining featuring grilled specialties, salads and sides for lunch and dinner, and freshly baked pizzas throughout the afternoon and The Patio Bar. 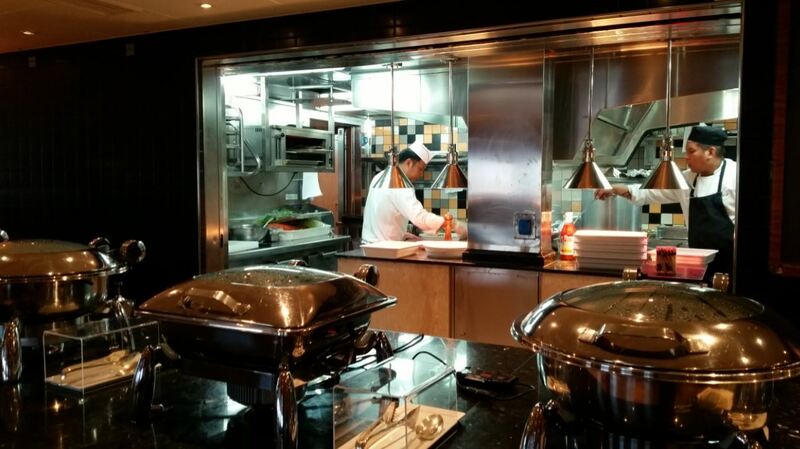 Staying inside we first had a look inside The Grill by Thomas Keller, Seabourn’s new signature restaurant which debuted in May 2016 on board the Quest. 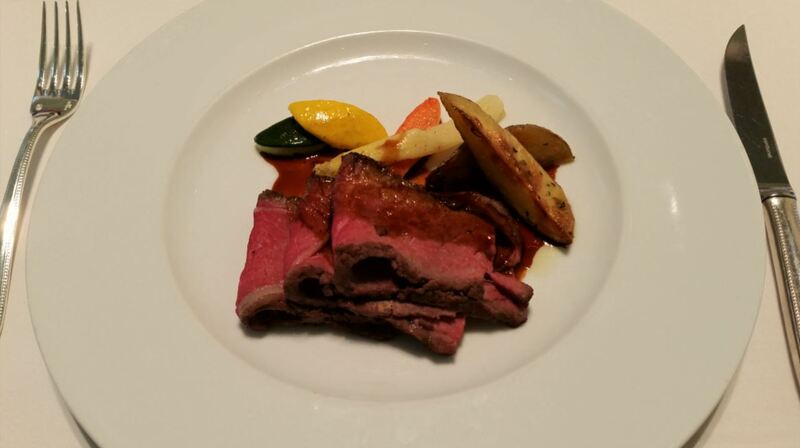 Inspired by a classic American chophouse The Grill serves updated versions of iconic dishes. Guests setting foot inside the elegant dining room are treated to table-side preparations of Caesar salad and ice cream sundaes as well as a range of other steakhouse favorites like Lobster Thermidor. 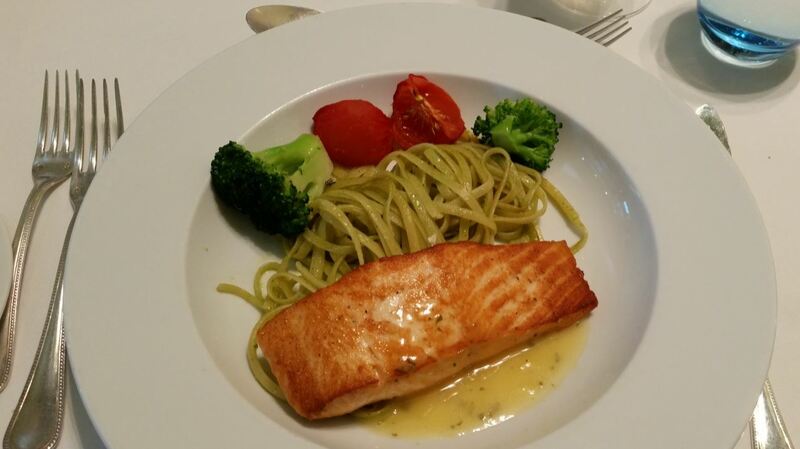 As everything onboard Seabourn, the restaurant is included in the cruise fare, though reservations are recommended. 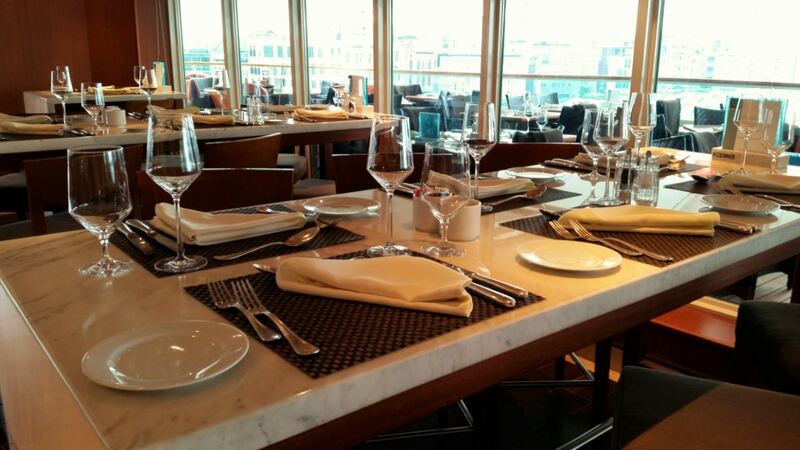 The Colonnade restaurant which is located at the back of Deck 8 is a casual indoor-outdoor dining venue serving buffet-style breakfast and lunch. 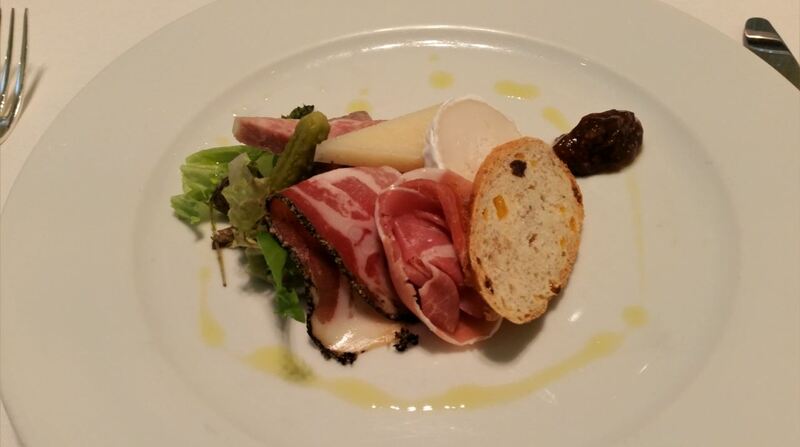 At night The Colonnade serves regionally-themed, bistro-style dinners with table service. 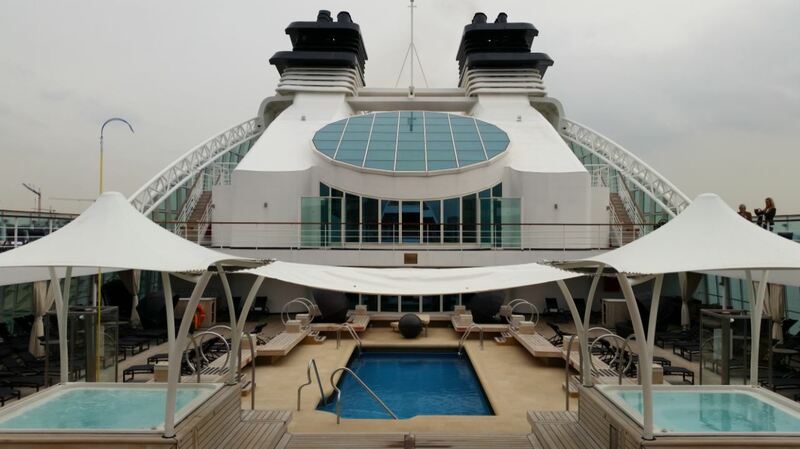 As we descended the majestic spiral staircase we arrived at the Seabourn Square. 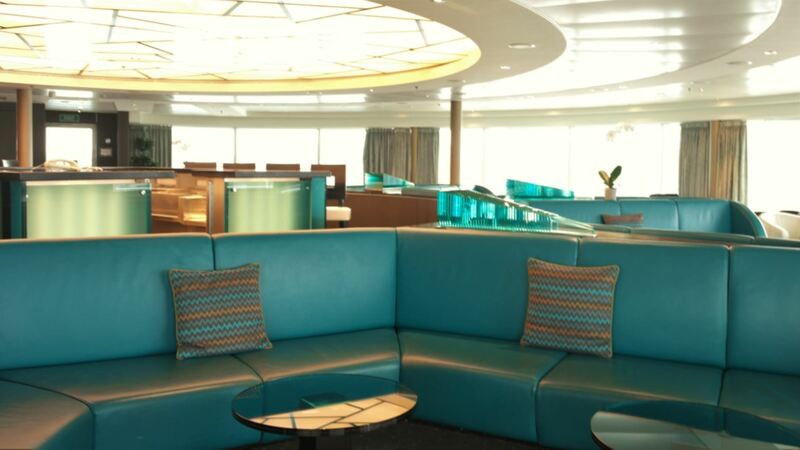 Seabourn’s multifunctional “living room” replaces the traditional reception lobby with a lounge complete with comfortable sofas, easy chairs and cocktail tables. 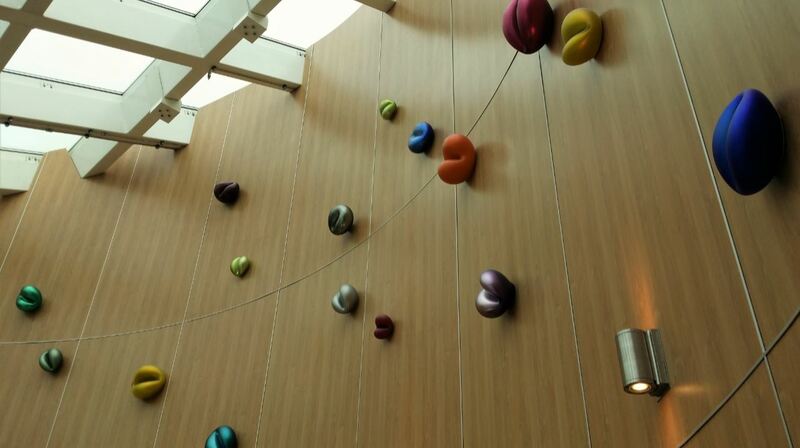 Upon entering the room we noticed the coffee bar serving specialty coffees, drinks, sandwiches, pastries and gelati. Located in the center of the room a square enclave is home to Guest Services. Seated at individual desks instead of standing behind a counter, these specialists are ready to assist guests in a more discreet and individual manner. 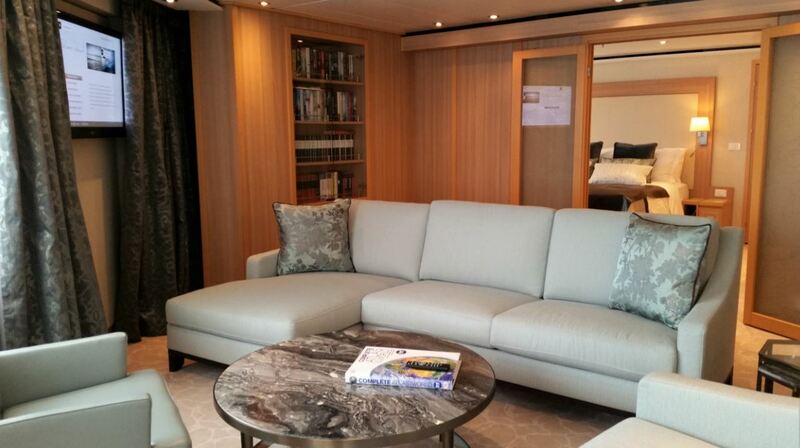 The outside walls of the enclave form the onboard library with fiction, nonfiction and reference books. The ship’s library also features eight computer workstations. Leaving Seabourn Square we passed The Shops at Seabourn. While The Seabourn Shop sells Seabourn logo wear, The Boutique offers fashions, cosmetics, scents and designer luxury goods. The Collection provides a selection of fine watches and jewelry including a private showroom for diamonds and other gemstones. 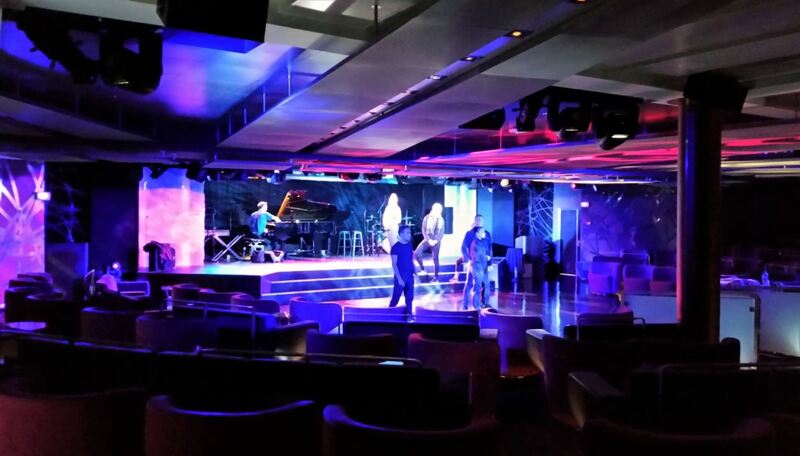 Located aft of deck 6, the ship’s main showroom, The Grand Salon, is used for lectures, cooking demonstrations, movies and other gatherings in the daytime. In the evenings it is home to live music for dancing before dinner, vocal production shows, cabaret performances, comedy, and classical recitals. 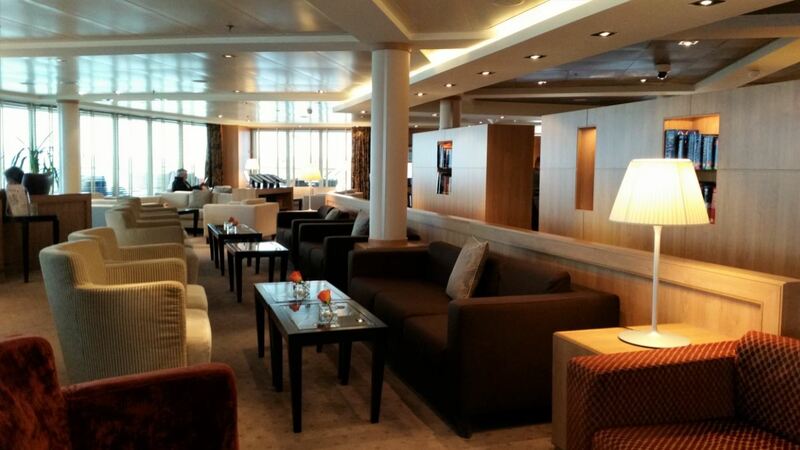 Below The Grand Salon on deck 5, The Club is the liveliest lounge on board. During the day this is the spot where afternoon tea is served. At night it becomes a popular spot for pre-dinner drinks and dancing to live music followed by late night DJ-sessions. A terrace of open deck aft of The Club boasts another plunge pool and two small whirlpool spas. 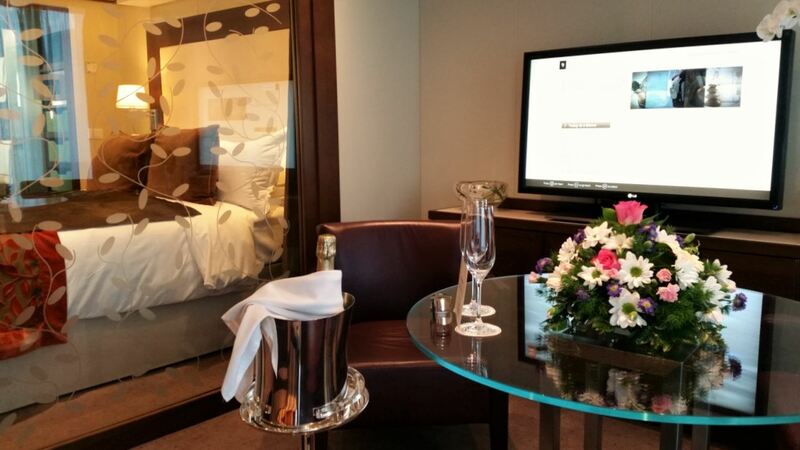 No visit to Seabourn Quest would be complete without a look at some of the luxury staterooms. Seabourn Quest offers guest a choice from 225 ocean view suites measuring between 295 and 1,682 square feet, 90% of which have a private veranda. 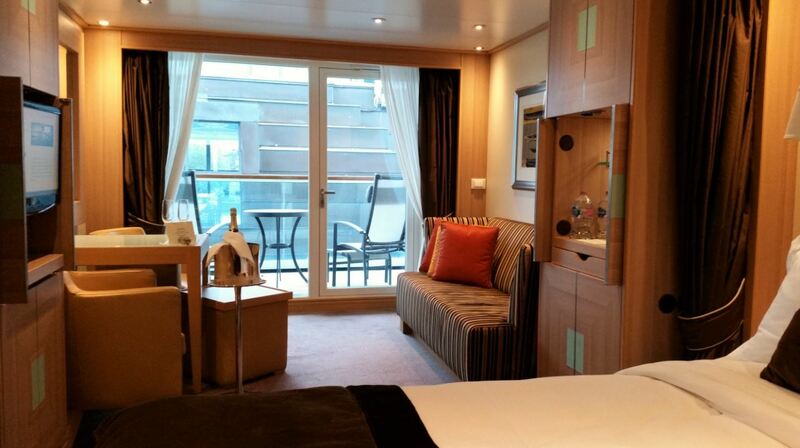 The smallest stateroom onboard the Quest is a Veranda Suite. These feature a full-length window and glass door which opens up to the private veranda. The living area contains a queen-size bed or two twin beds, a dining table for two, walk-in closet, interactive flat-screen television with music and movies, a fully stocked bar and refrigerator, makeup vanity, spacious bathroom with separate tub and shower. These suites measure approximately 300 sq. ft. (28 sq.m.) of inside space, plus one verandah of 65 sq. ft. (6 sq. m.). 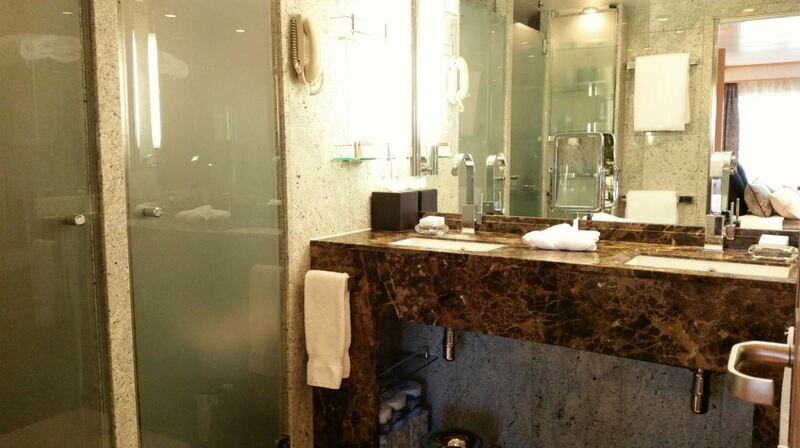 There are also a few Penthouse Spa Suites which are slightly larger, 536 to 539 sq. ft. (50 sq.m.) of inside space, plus veranda of 167 to 200 sq. ft. (16 to 19 sq.m.). These offer the same amenities plus complimentary full-day access to The Spa and in-suite spa amenities. 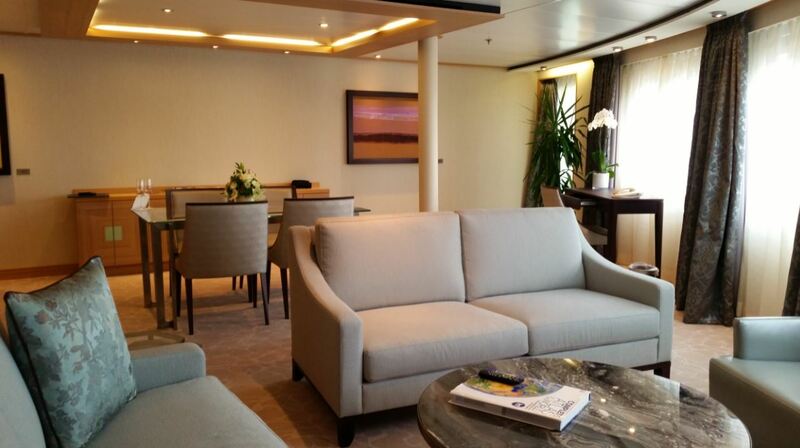 The Signature Suites are the second largest suites onboard. They feature expansive ocean views through forward-facing windows, dining space for four to six, a bathroom with whirlpool bathtub, guest bath, pantry with wet bar, and two flat-screen TVs. Complimentary Internet/Wi-Fi service. At approximately 859 sq. ft. (80 sq.m.) of inside space, plus one veranda of 493 sq. ft. (46 sq.m.) they are larger than many apartments in the city. The Wintergarden Suites feature large windows with ocean views, dining for six, a bathroom with whirlpool bathtub, guest bath, Glass-enclosed solarium with tub and day bed, pantry with wet bar, and two flat-screen TVs. Complimentary Internet/Wi-Fi service. Approximately 914 sq. ft. (85 sq.m.) of inside space, plus one veranda of 138 sq. ft. (17 sq.m.). 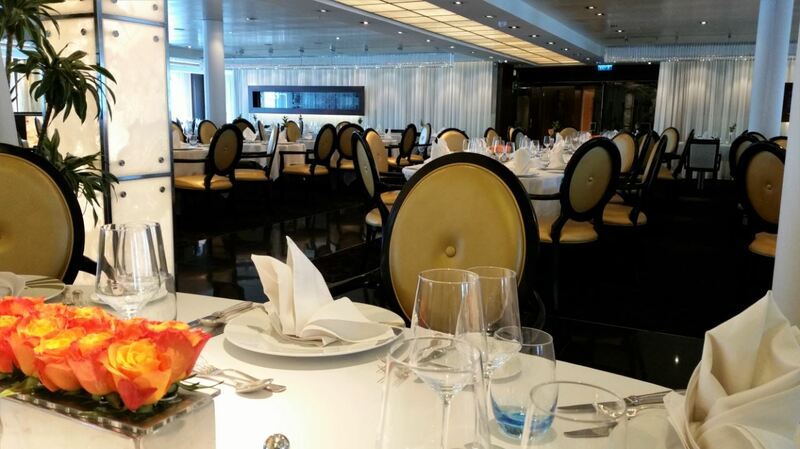 We finished our visit to Seabourn Quest with a luncheon in The Restaurant. 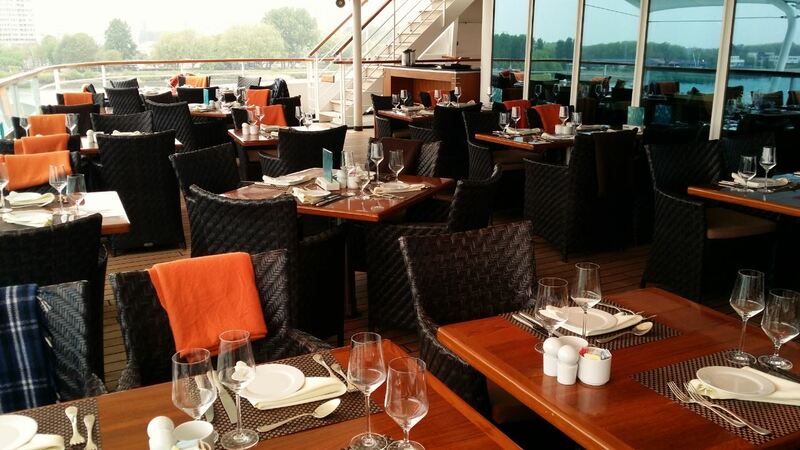 The main dining venue on board is capable of accommodating all guests in one seating. 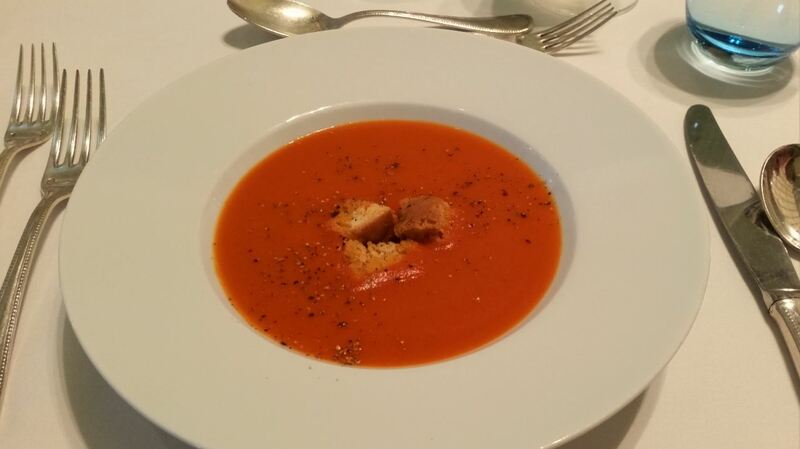 The Restaurant serves breakfast, lunch and dinner on an open-seating basis, inviting guests to dine when, where and with whom they wish for every meal. 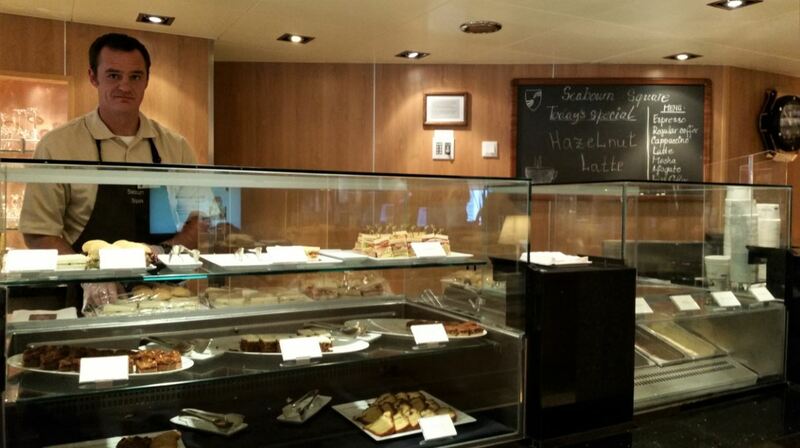 Unfortunately as our lunch came to a close so did our brief stay on board Seabourn Quest. 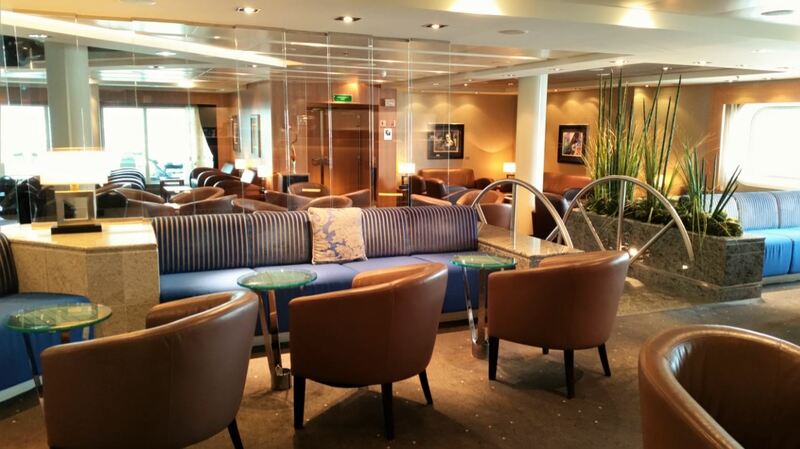 Our walk through the public areas of the ship and the accommodations has given us an impression of what a voyage on one of Seabourn’s luxurious ships is like. 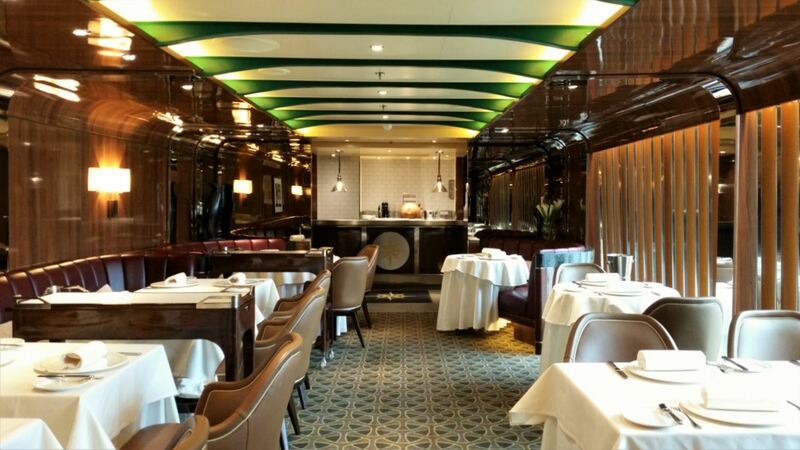 The designers have done a marvellous job at creating a ship that is elegant, timeless and relaxing in such a way that, combined with a perfect service, we cannot imagine experiencing one stressful moment while on board.